Last weekend, marchers filled the streets of 136 cities around the world to demand swift action to save two of the most iconic (and most imperiled) animals on Earth. 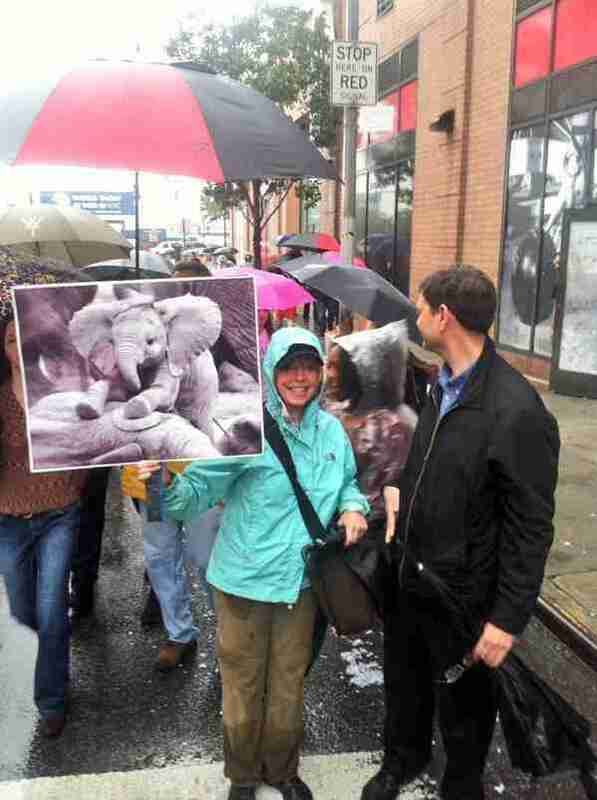 From Johannesburg to San Francisco, cries of "No ivory!" 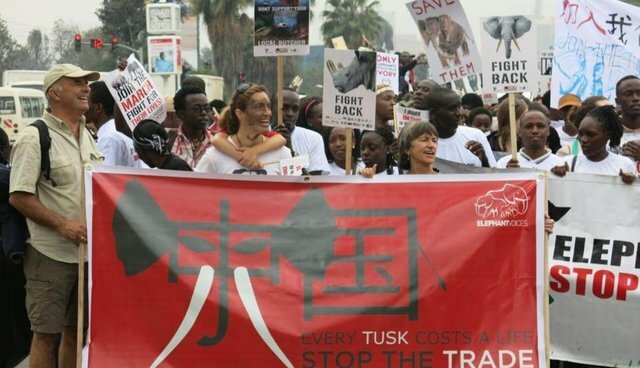 filled the streets of six continents as the Global March for Elephants and Rhinos soldiered on. 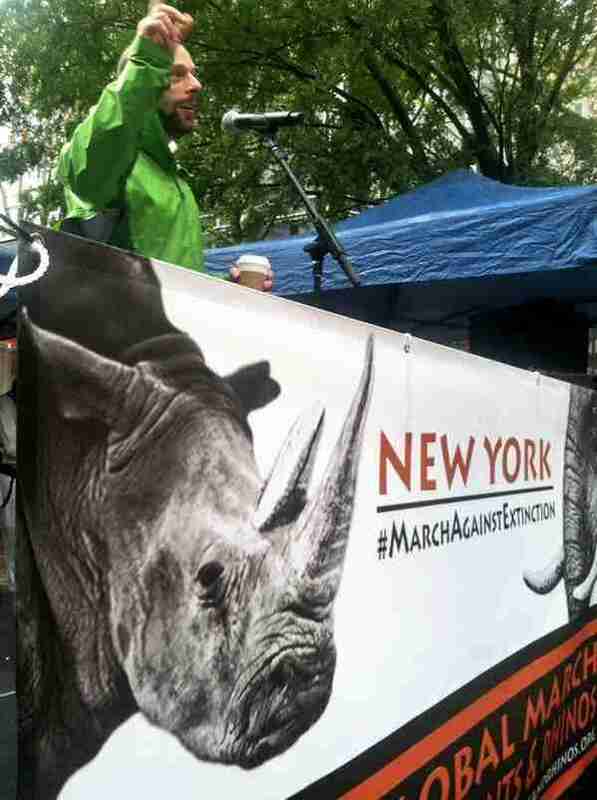 In New York City, a phalanx of some 300 marchers made their way to the United Nations headquarters, where representatives from several conservation organizations spoke. The mood was one of hope, rather than "doom and gloom." "We actually can save elephants and rhinos - it's going to happen," James Deutsch of the Wildlife Conservation Society told the crowd. The event featured a dance troupe dressed in gray imitating elephant movements, a recorded message from the famous paleoanthropologist and conservationist Richard Leakey, and a speech by the contemporary artist Domingo Zapata. 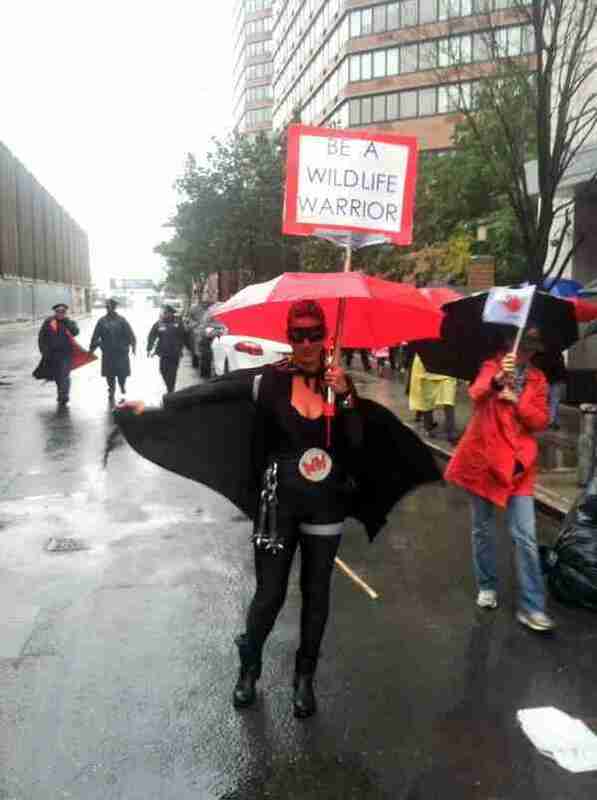 Many marchers came in costume, and all came calling for action against poaching. 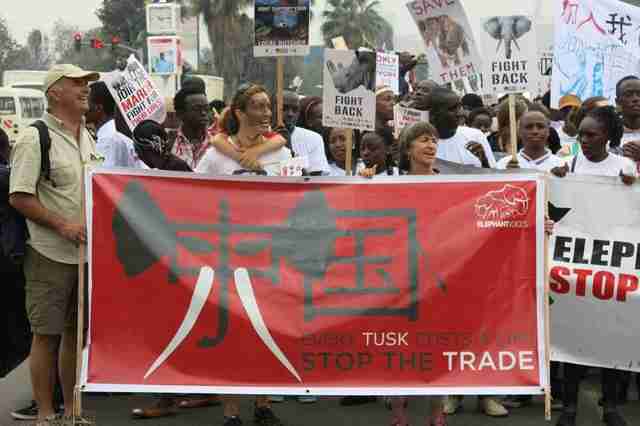 "A moratorium places the blood ivory issue in a holding pattern, it results in value spikes and price hikes on a blood stained commodity that was once priceless live commons," artist and conservationist Asher Jay, who was present at D.C.'s march, told The Dodo. "A ban makes ivory a bad investment by being an iron clad resolve that implies the marketplace is closed forever." Other large marches were held in London, San Francisco, Dubai, Hong Kong, Tokyo, several cities in Kenya, South Africa, Mozambique, Namibia and in dozens of other countries.